Our guide on starting a lemonade stand covers all the essential information to help you decide if this business is a good match for you. Learn about the day-to-day activities of a lemonade stand owner, the typical target market, growth potential, startup costs, legal considerations, and more! What happens during a typical day at a lemonade stand? Business owners spend most of their time service customers lemonade. To provide the freshest possible product and enhance the customer experience, each lemonade is usually made fresh when ordered. Making lemonade involves squeezing lemons, adding sugar water and ice, and mixing the ingredients together. It takes just a minute to make a lemonade. When not serving customers, business owners order more supplies, clean their stand, and market their business. Business owners who have mobile stands must also spend time researching where to take their stands. A lemonade stand business’ ideal customer is a family or group of friends who are hot and thirsty. If someone in such a group suggests getting lemonade, everyone may agree to get one. Thus, a stand might sell several lemonades at once rather than just one to an individual customer. How does a lemonade stand make money? A lemonade stand business makes money by selling lemonade. Lemonade is typically sold by the glass or cup. What is the growth potential for a lemonade stand? Most lemonade stand businesses remain local businesses that have one location. A few businesses might grow to have several locations in an area, but growing beyond this is uncommon. There are lemonade stand franchises that have multiple locations, but growing a lemonade stand business through franchises is difficult. Because stands are easy to run, any training a franchise offers has limited benefit to business owners. Also, lemonade is often an impulse buy made by passersby. Thus, any advertising provided by a franchise is of little use to an individual stand. What are some skills and experiences that will help you build a successful lemonade stand? Business owners should be comfortable with basic business principles, and they need to know how to make good lemonade. Business owners who don’t know how to run a business may want to take a course on business practices. Local community colleges often offer courses. There are also many courses online. Coursera and OpenCulture have many free business classes. To develop a recipe, business owners should consult online recipes. Allrecipes.com and Food Network have many lemonade recipes. There are also lots of YouTube videos on making lemonade. What are the costs involved in opening a lemonade stand? A lemonade stand is inexpensive to open. Anabelle, a 10-year-old, opened a licensed lemonade stand for $3,500. Businesses with fixed locations or larger stands may cost more to open, but they’re still affordable to open. What are the steps to start a lemonade stand? Form a legal entity. Establishing a legal business entity prevents you from being personally liable if your lemonade stand is sued. Open a business bank account. A dedicated checking account for your lemonade stand keeps your finances organized and makes your business appear more professional to your customers. 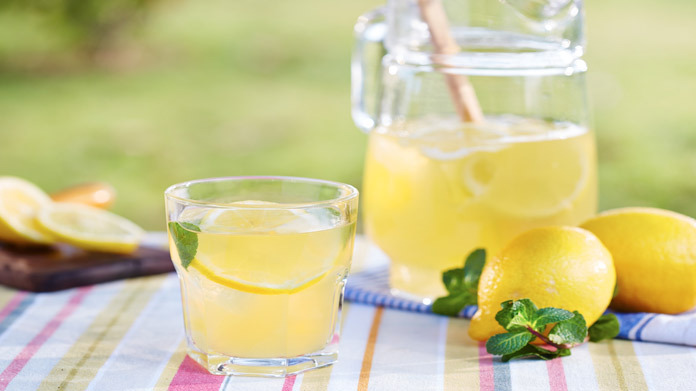 What are some insider tips for jump starting a lemonade stand? When starting a lemonade business, choosing a good location is very important. Most customers won’t specifically seek out a lemonade stand. Instead, they’ll decide to get a lemonade while passing by if they’re hot and thirsty. Outdoor locations are preferable. 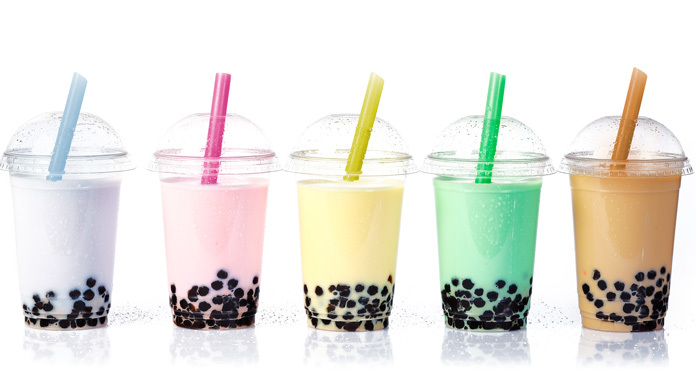 Most indoor places are air conditioned, and cool air will decrease how much customers want a cold, refreshing drink. Since most lemonade is bought by passersby, all marketing efforts should be focused on getting the attention of people who are going by a lemonade stand. Signs are one of the best ways to attract people’s attention in this manner. A lemonade stand business can increase how many returning customers it sees by offering great tasting lemonade. If a stand’s lemonade is subpar, sales will decrease. If the lemonade is delicious, though, customers will return for another drink the next time they’re in the area and thirsty. A lemonade stand can be operated by one person. It’s helpful to have an employee, though. With two people, speed of service will increase during rushes. Also, a business owner will have the freedom to go get more ingredients if they run out during the day. Certain state permits and licenses may be needed to operate a lemonade stand business. Learn more about licensing requirements in your state by visiting SBA’s reference to state licenses and permits. Before leasing, confirm that your landlord has or can obtain a valid CO that is applicable to a lemonade stand business. Review all building codes and zoning requirements for your business’ location to ensure your lemonade stand business will be in compliance and able to obtain a CO. Most lemonade stand businesses price their lemonades at $5 or less. The exact cost depends on a stand's location. Even in high-demand areas, though, businesses resist going over $5 because. Many customers will think twice before spending more than $5 on an impulse purchase. What are the ongoing expenses for a lemonade stand? The ongoing expenses for a lemonade stand business are low. They include the cost of ingredients (lemons, sugar, water and ice), and facility, licensing and insurance costs. For Annabelle, non-ingredient costs totaled $500 per year. Businesses that have to pay rent will have higher ongoing expenses. Compared to other businesses, though, these expenses will still be minimal. How much profit can a lemonade stand make? In a busy location, a lemonade stand business can bring in a good profit. One lemonade stand business’ expenses place the cost for ingredients of a 16-ounce lemonade below 50 cents. Making a 32-ounce lemonade costs less than 85 cents. At these prices, selling a lemonade for $5.00 provides a profit of over $4.00. With the right traffic, $4.00 per sale quickly adds up. In a single day, a business that served 100 people would have $400 to cover that day’s expenses and provide a profit. When looking for ways to increase profitability, a lemonade stand business should be wary of adding more products. Additional products can dilute a business’ brand as a lemonade stand. They also can increase overhead. Instead, a business should look for ways to make more on the sale of each lemonade. This can be done by offering flavorings for lemonades and charging for the flavorings. Alternatively, a stand can sell a cup that comes with free refills for the day but costs much more than $5.00.